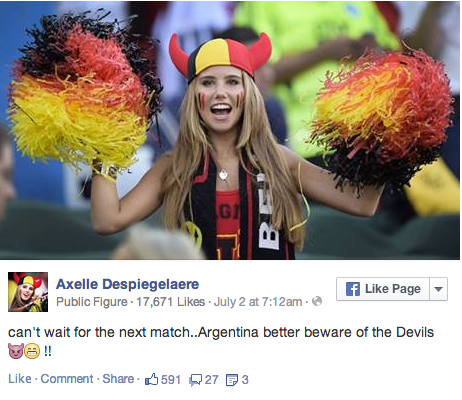 Belgian beauty Axelle Despiegelaere made international headlines as she cheered on her home country in the World Cup. Someone took her photo in the stands, and within days, L’Oreal had offered her a modeling job. The offer didn’t last long. The spokesperson did not confirm whether Despiegelaere’s hunting photo was behind its decision to stop working with the model, whose short promotional video for L’Oreal has garnered nearly two million YouTube views in three days. 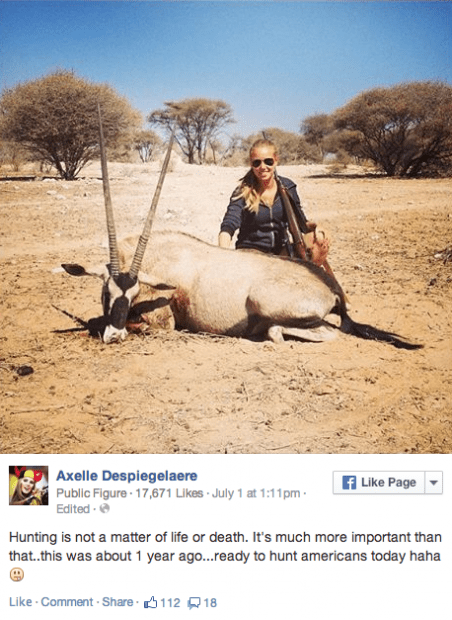 Despiegelaere’s case is one of several lately where young women have taken hunting photos, and been eviscerated on social media.